Everyone needs a Savior! But how will they know about Jesus if we don’t tell them? How then shall they call upon Him in whom they have not believed? And how shall they believe in Him of whom they have not heard? For most people the idea of “witnessing” is scary. It can be a daunting task. We wonder, will they think I’m crazy? Will they make fun of me? What if they ask questions? Will I be able to answer them? Our minds are filled with doubt about our ability to be an effective witness. But as Christians, we are commanded by Jesus to take the gospel to the people who need to hear it. Go therefore and make disciples of all nations, baptizing them in the name of the Father and of the Son and of the Holy Spirit, teaching them to observe all things that I have commanded you: and lo, I am with you always, even to the end of the age. Some of us may feel that there isn’t anyone that we can witness to. We mistakenly think that everyone around us is already saved. But when we take a closer look, we can see that there are so many people in our lives who need Jesus. They may be co-workers, friends, or even members of our family. 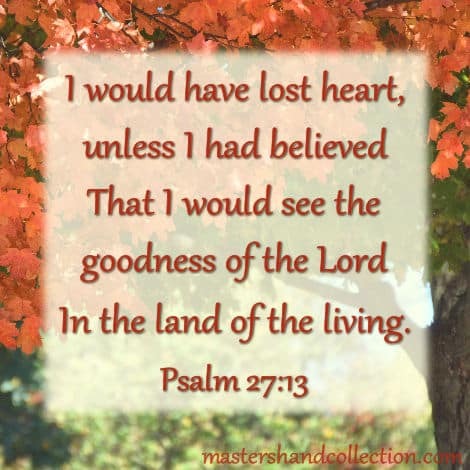 God in His wisdom, has placed us where we are in life for a reason and He puts these people in our path so that we can tell them the good news of salvation. This is our mission field. My pastor likes to call it “a divine appointment”. Jesus called it “a harvest”. 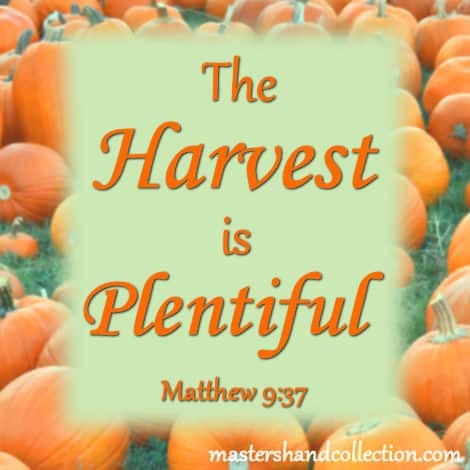 The harvest truly is plentiful, but the laborers are few. Therefore pray the Lord of the harvest to send out laborers into His harvest. And whoever will not receive you or hear your words, when you depart from that house or city, shake off the dust from your feet. 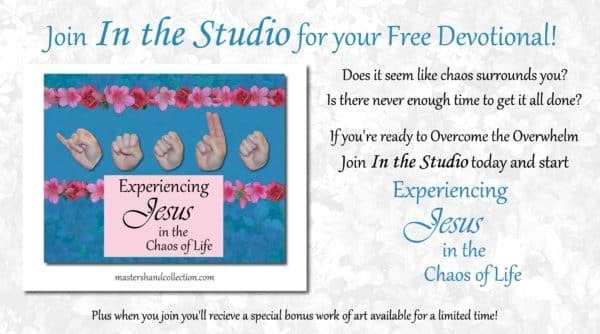 There have been times in my life when the person I was witnessing to would not accept Jesus. I thought they were hard-headed and couldn’t see the plain truth in front of them. I felt discouraged and like I was not being a very good witness to them. 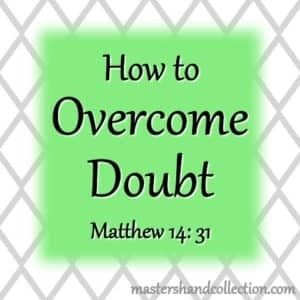 But Jesus is telling us that some will believe in Him and others won’t. We just need to keep telling everyone we meet about Him and then the next person, and then the next. It’s not up to us whether they become a Christian or not. We don’t have the power to make anyone believe. That is ultimately their decision. But it is our job to tell them the gospel, to pray for them and to disciple them if they decide to accept Jesus as their Savior. Leave everything else to the Holy Spirit. He will do the rest. My prayer for you today is this, that you will be encouraged to spread the gospel of Jesus to the people in your life. All you need to be an effective witness is a willing heart. God will give you the right words to speak and He will bring to remembrance the right verses. Your mission field is right in front of you and the harvest is ripe for the picking! May God bless you in your pursuit of His kingdom today and always! Amen! Our job is to witness and pray for them, not to make them believe. Hi Ruth! Thanks for the encouraging words. May God bless you as you witness and pray. Fall is my favorite season! I look forward to this brief moment of splendor God blesses us with each year. The cool, crisp weather. The brilliant red, yellow and orange colors of the leaves. Comfy sweaters and festive scarfs. Spicy pumpkin pie and gooey apple cobbler. Everything about fall warms my heart and brings happy memories to mind. Fall also marks the end of the carefree days of summer. And as we reestablish our routines, it’s a great time to connect with God on a deeper level. 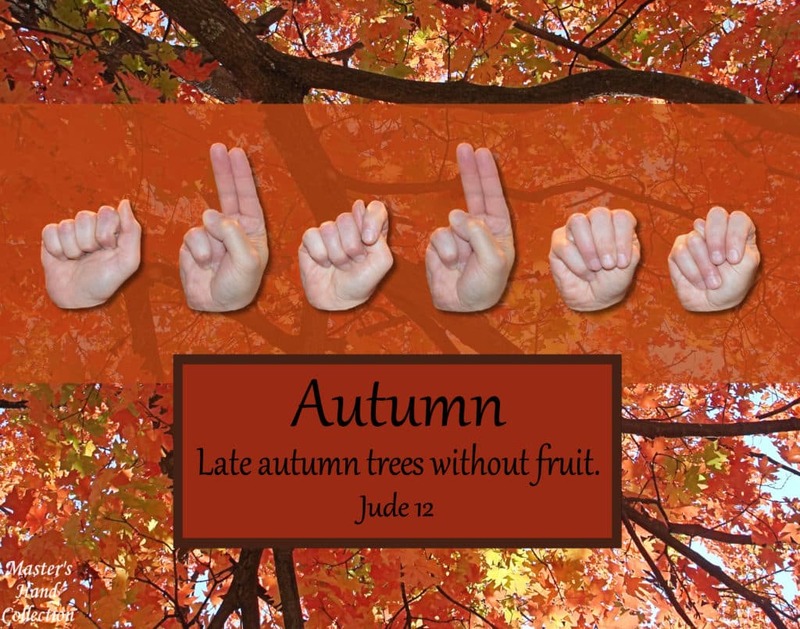 Each of these Heartwarming Bible Verses for Fall stands on their own. 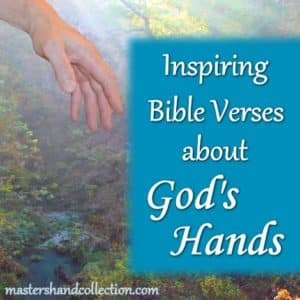 But they are also a great jumping off point for a new Bible Study, a wonderful start to creating a seasonal bulletin board at church or a way to teach the children in your life a new memory verse. Whatever your reason for searching for Fall Bible Verses, I pray you will find inspiration for the season ahead. 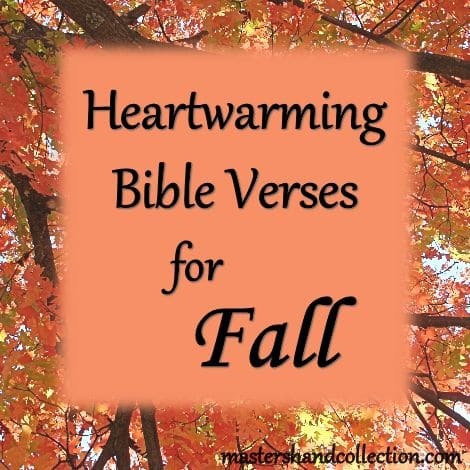 So, wrap your hands around the warmth of a mug of pumpkin spiced coffee, or the hot drink of your choice, and savor these Heartwarming Bible Verses for Fall. Enjoy! The Psalms are always the perfect place to find inspiration. Their cries of praise and thanksgiving for a loving God start off our fall Bible verses. There is nothing more powerful than the words of Jesus! And His assessment of the fall season gives us a great lesson in what it means to be a witness all year round. Jesus said to them, My food is to do the will of Him who sent Me and to accomplish His work. Then He said to His disciples, “The harvest is plentiful, but the workers are few. Do you not say, ‘There are yet four months, and then comes the harvest’? Behold, I say to you, lift up your eyes and look on the fields, that they are white for harvest. These scriptures are favorites for a reason. They speak to the honest truth of the season and help us focus our minds on what is truly important this time of year. 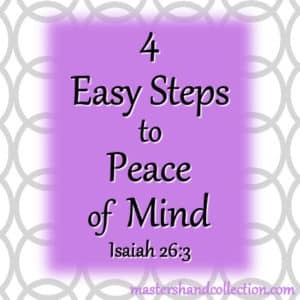 And the seed whose fruit is righteousness is sown in peace by those who make peace. 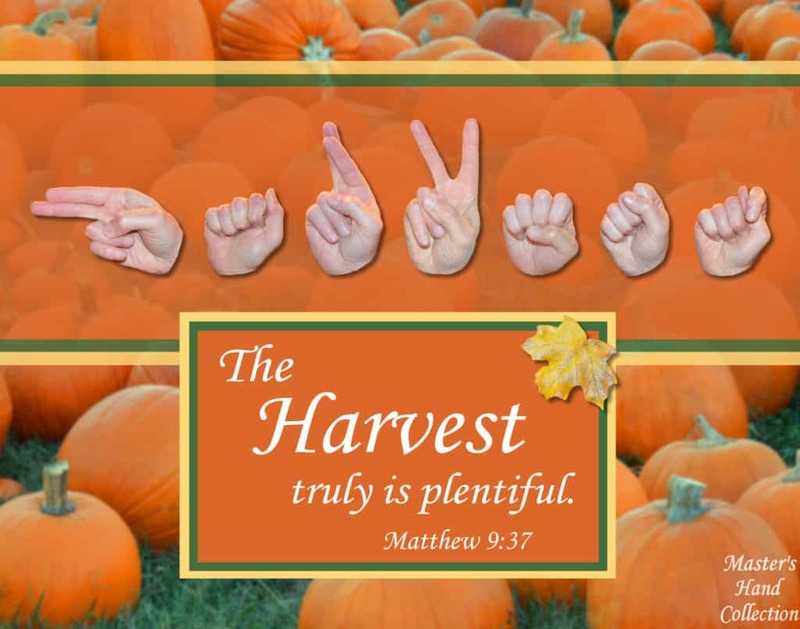 I hope these Heartwarming Bible Verses for Fall have blessed you and inspired you for the season ahead. Happy Fall! This Bible verse about God’s love for us shows His true character, fully loving and good. He is our protector who holds us close when the storms of life hit us hard. 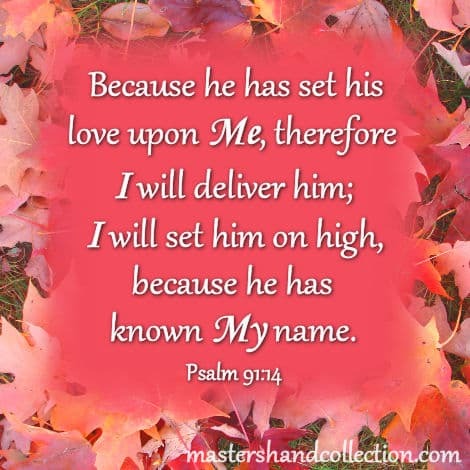 He is our loving Father who hugs us tightly and wraps us in His love when we need comfort. Through all of life’s ups and downs, we can count on our faithful God! What immediately comes to mind when you read this Bible verse about God’s name? 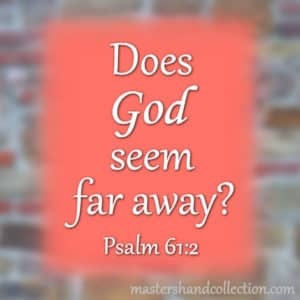 Is there a time when God did something amazing in your life? I’m sure that like me, you can think of quite a few of those moments. So today for some Monday Motivation, let’s look back and remember all that God has done for us and bless His glorious name! Please leave a comment below and share what God has done in your life. I love to “hear” from you! We all have times when it seems like all is lost and nothing good will ever happen again. But the goodness of God is always with us. In the good times, He is our champion, pushing forward to bigger and better things. In the bad times, He is our confidant and comforter, reminding us of happier memories and giving us the strength to keep going. So, if you are experiencing a downtime, don’t despair. Look up and see the goodness of God all around you. Blessings! A Post from Master’s Hand Collection to bless you today! A few years ago, I was sitting in Monday night Bible study and a young woman there shared something that totally changed my life. She quoted a saying you may have heard before, “What if tomorrow, you only had the things that you thanked God for today?” I thought about this for several days afterward and decided that I needed to start thanking God for what I have today. It’s easy for me to dream about tomorrow or get caught up in all of the things that I wish I had. But God is good to me right now and I need to show Him my gratitude for all that He does in my life today. A little bit of thankfulness goes a long way. Imagine if you did everything for someone and they never once said thank you to you. It wouldn’t make for a long lasting relationship. Over time you would lose interest in helping them and then distance yourself from them too. Thankfully God isn’t like this. No matter how we act He always loves us and promises to care for our needs. But that doesn’t mean that we shouldn’t say thank you to Him. So, I begin thanking God each night for the things He has given me today that I can’t live without tomorrow. Here’s a list of some of them. Where would I be if I didn’t have salvation in Jesus Christ? I would be lost and condemned. Salvation is definitely the top priority on my list of things I can’t live without and the one thing that I am most grateful for. Every day I pray that God will take care of my family, and I’m sure that you do the same for yours too. I mention them each by name and ask God to take care of their individual needs. But I have also started saying thank you to God for them as well. This has made a big difference in my relationship with my family. I see them in a different light now because I recognize how thankful I am for each of them and the unique qualities they bring to my life. #3 My home, food, car, clothes, etc. Food, shelter and water, these are the basic necessities of life and I certainly don’t want to live without any of them, especially food. Nobody wants to go hungry. God has always been faithful to provide for me and my family. We may not always have everything that we want, but we always have what we need. What a privilege it is to live in a country where I am free to worship God! I am so grateful for the opportunity to live in a nation where I can express my views and practice my religion without fear. Like everyone I ask God to do certain things for me and then when He does them I conveniently forget that He has just answered my prayer. So, I have started to put into practice thanking Him in the moment for that answered prayer. But I also want to remember, during my nightly prayers, to say thank you again because I am truly grateful that He has heard me and cared enough to answer. There are usually a few other things that happen throughout the day that I say thank you for but this list represents the things that I don’t want to live without the next day. Saying thank you to God has had a huge impact on my life and my relationship with Him. I feel different, better in so many ways. The depression that I sometimes feel is diminished and I feel closer to God. Instead of focusing on what I don’t have, I choose to focus on what God has blessed me with already. That gratitude has changed my way of thinking and my outlook on life. God is good. Always good. I hope that this will help you in some small way as you grow your relationship with Christ. 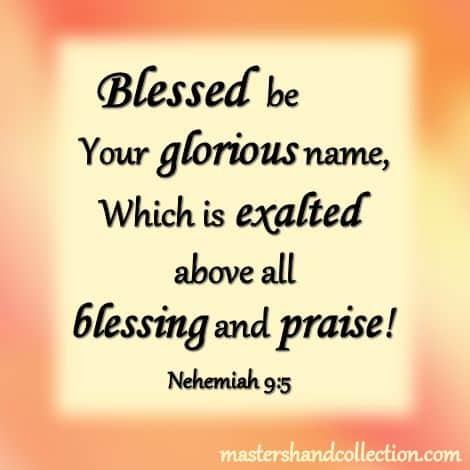 My prayer for you today is that you will see all of the wonderful things God is doing in your life right now, give thanks to Him and be blessed by that thankfulness. 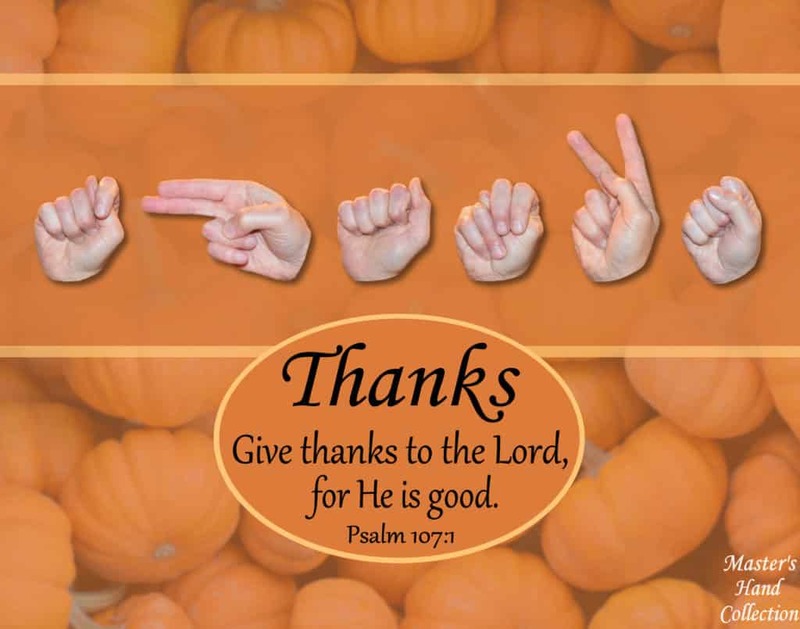 May God bless you greatly this Thanksgiving! Autumn is a time of change. The carefree days of Summer have passed and we look forward to a new season. Here in the Ozark Mountains, the temperature is falling and soon the Master’s paintbrush will turn the leaves from green to brilliant red, orange and yellow. The colors are so vibrant and there’s a sense of excitement for the change ahead. Since moving to Arkansas, Fall has become my favorite time of year. I revel in this brief moment of beauty that God gives to us. But Autumn is also a time for new obligations. The beginning of school for the kids, Sunday school and Bible study classes, football practice, the coming Thanksgiving and Christmas holidays and so much more. We keep the wheels turning by taking care of our families, volunteering at church and witnessing to those around us who are not saved. And as much as we love doing all of it, these new commitments can leave us feeling stressed out and just plain tired. Sometimes, it can feel a little bit overwhelming. So, during this busy time of year, let’s seek a little inspiration from the words of Paul to the Galatians. And let us not grow weary in doing good, for in due season we shall reap if we do not lose heart. As women of faith, we endeavor to do what is right in God’s eyes. We want to do it all and be everything to everyone. But the challenge for us is, to do good and to not grow weary. When life becomes hectic and we start to feel like we’re being pulled in a lot of different directions, the truth of this verse is a source of encouragement for us. It has so much to say about how to get through these busy moments we all experience. We all have times when we feel overwhelmed, discouraged, tired and downright unappreciated. In these moments, it’s easy to think that no one sees the good work that we do. But God does see the effort we put in and He doesn’t want us to give up and throw in the towel. Sometimes it feels like that “due season” is just out of reach or will never come. But the seeds we sow today will determine what we reap in the future. God has a plan and He promises to reward us for all that we do in His name. His timing is different than our own and if we keep looking forward our season to reap that reward will come. We may feel like we’re drowning in a sea of endless things to do. And we may feel down and out, but all is not lost. God is on our side and ready to offer our heart the encouraging boost we need. But we have to be willing to take hold of that encouragement and use it in a way that will cause us to not lose heart. 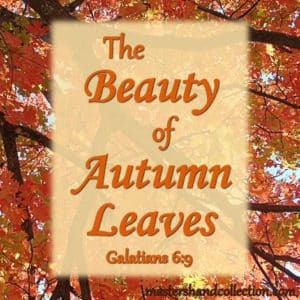 Just as God creates the beauty of the autumn leaves, He also wants to create beauty in our lives. He knows that we’re only human and that we get tired and discouraged. 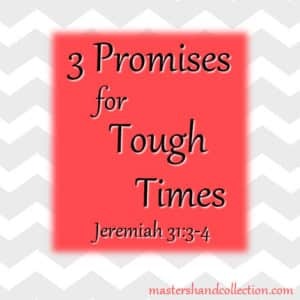 When we’re down, He wants to encourage us to forge ahead and to not grow weary. And He promises us that when we do, we will reap the reward of a life well lived. So, during this time of great change in nature, I pray that we will revel in all the beauty God has put in our lives and in the beauty of Autumn leaves! Weariness is part of the curse, but I’m hiding in Christ with God (Col. 3:3) and learning to let Him to His thing through me. Hi Sue! Thanks for sharing this with me. I’m saying a prayer for you today. May God bless you! Welcome to Faith on Fire! Thanks for sharing your wisdom and creative artistry with us this week. I look forward to reading more from you in the weeks ahead. Hi Lyli! Thanks so much for welcoming me into your community at Faith on Fire! I’m looking forward to being a part of it and contributing in the weeks ahead. Hi Lani! Thanks so much for your encouraging words. I appreciate it. God bless! The book of Proverbs is often said to be an instruction manual for life. The central theme and the first bit of wisdom taught within its pages is to fear the Lord. That doesn’t mean to hide or tremble in fear, but rather to fully understand who God is. To be in awe of Him and His power. Once we understand the enormity of God, we are His children and He is our Father. Just like a father here on earth is obligated to love and protect his children, God promises us His love and protection. We have a safe home in Him and a place of refuge when life becomes too much. 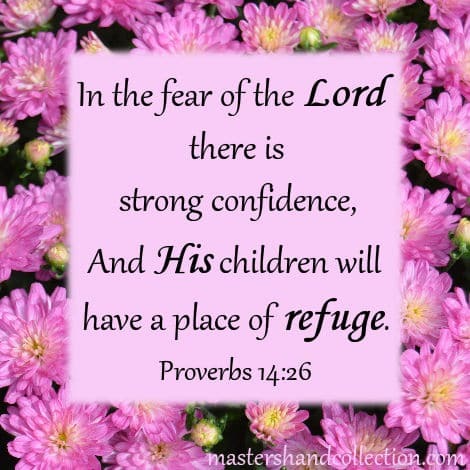 To fear the Lord is a wonderful thing because once you know Him you will never be the same!